So much of our employment, social, educational and economic activities rely on the internet. We can’t quantify the human cost of internet shutdowns but we can the economic one. The shutdowns cost billions of dollars. Countless stories of lost contracts, business closures and sacked employees followed last year’s 94-day shutdown in “Silicon Mountain” Cameroon. India has had the most shutdowns, more than 100 in 2018 alone, due to political turmoil, protests, military operations or even to prevent examination cheating. If you knew that pulling the plug on your neighbourhood’s internet connection was going to cost local businesses hundreds of thousands of dollars in lost sales and productivity and cost dozens of people their jobs, you would probably avoid doing it. 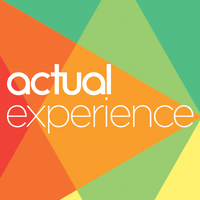 Actual Experience plc (LON: ACT) is a user experience analytics company, focused on making the digital world work properly. They partner with global service providers who build AE’s analytics software into their solutions, products and services so that they can improve the digital services of their enterprise clients. Developed from over 10 years of scientific research, their user experience analytics software takes measurements of the many businesses, technologies, networks, data centres and applications involved in the delivery of a digital service. These measurements are sent to the Analytics Cloud, where they perform millions of calculations per minute to provide actionable evidence to their clients, enabling them to manage and improve their user’s experience. Using AE’s unique approach to analysing a digital service enables it’s clients to improve customer satisfaction, drive up the productivity of their staff, increase revenue and brand reputation from loyal customers and ultimately deliver success for their business.